World oil prices have risen a little after two years of weaker demand for oil and lower prices. During that time, a number of developments have affected the balance between oil supplies and demand. One is unrest in some oil-producing countries. Another is the expanded use of technology for collecting oil from deep underground. In addition, the Organization of Petroleum Exporting Countries (OPEC) has been working on a deal to reduce oil production. OPEC's members have been trying to limit production to ease oversupply. Perhaps the easiest way for Americans to experience the effects of oil prices is through gasoline. 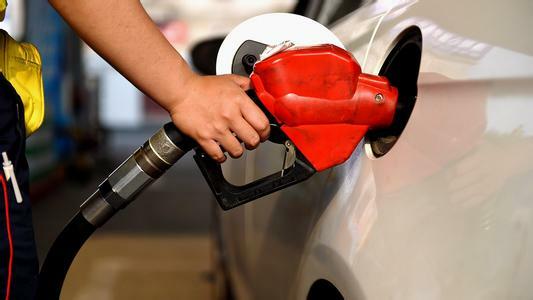 American drivers have paid less for fuel as oil supplies have increased and prices have dropped. In the United States, oil production has increased sharply in recent years. One reason is new technology, such as hydraulic fracturing, also known as fracking. It has helped drilling services recover more oil and natural gas from the Earth. In fracking, liquid is forced into the ground under high pressure. The force can break up rock under the Earth's surface, releasing oil and gas. Hannah Breul is with the U.S. Energy Information Administration. She thinks oil prices will rise as supplies, or inventories of unsold oil, start to decrease. "Global supply has far exceeded global consumption, so we have seen massive inventory builds and we have seen lower prices as a result. Once the supply and consumption come back into alignment, and the inventories level off, and can start to be drawn down, that will be a market signal to increase production." Low oil prices hurt companies that use fracking, making their operations too costly and less profitable. Rising prices, says Breul, make it more cost-effective for oil producers to keep shale wells operating. She says demand for oil is expected to rise over a long period of time. Other things can influence oil prices. Members of OPEC and some major non-OPEC producers, like Russia, appear to have agreed on a deal to limit production. Russia's Energy Minister, Alexander Novak, says the two sides are trying to make joint agreements. Reports of a deal helped push oil prices above $50 a barrel temporarily. Prices had fallen to less than $40 last year. As a cartel, OPEC's members seek to fix prices so they can increase profits. One way they do this is with limits on oil production. The group is expected to meet in late November to finalize details of a production agreement. Several members, including Iraq, have asked for permission to be exempt from cuts. About two-thirds of electricity in the United States comes from coal and natural gas. The U.S Energy Information Administration says oil has little direct effect on the cost of energy. It says that only one percent of the country's electricity comes from oil. The cost of producing renewable energy has continued to fall. The International Energy Agency says renewable has become the world's largest new source of energy. The cost of producing energy from sources like the sun and wind is also decreasing. The oil companies have lost their power over oil price and oil production. Today, oil and natural gas have replaced coal and wood in most areas. 1.The force can break up rock under the Earth's surface, releasing oil and gas. Civil war could come if the country breaks up. My girlfriend had broken up with me. 2.Other things can influence oil prices. Members of OPEC and some major non-OPEC producers, like Russia, appear to have agreed on a deal to limit production. The men agreed on a business deal that satisfied both companies. After some tough bargaining, we finally agreed on a deal.